University of Central Oklahoma, 100 N University Dr, Edmond, OK 73034, United States. The world is in a food production crisis and by 2020 we need to double food production. Study is needed to increase the remediation of poor soil condition. Some of these problems are the result of bad practices like wide-spread use of chemical fertiliser, pesticide and herbicide. Even large plantation of cash crops like coffee, cocoa and coconut, rubber and oil palm are facing risk of environmental degradation of epic proportion. Subsistence farmers are mostly devastated when their crop fails. The good news is when we use Lactobacillus to fortified fertiliser, put them in the land, cultivation improves. It also allows for slow release of nutrients found in the rhizosphere to be absorbed by the plants slowly over time. The roots become healthy upon inspection and exudates composition dependent and disease suppressive soil allows for a progressive soil remediation. The following is a case we have been developing. In February 2016, after several months of application, the cocoa growers report disease and pest suppressive ability after the application of the fertiliser. After a second application, one of the grower in the pilot project reported 100 pods on a single tree. Up in the highland, during the drought of 2015, one coffee grower also provided evidence of mass flowing on his plants. Most amazing the farmers also attested to the benefits of using lactobacillus, such as being able to grow low land crops in the highland and vice-versa (Figures 1-5). Figure 1: Watermelon become denser, sweeter and last long using lactobacillus fertiliser in Borneo. Figure 2: Tomato harvested with marked yield improvement in Papua New Guine. Figure 3: Mass rooting of an Annona Muricata, also known as soursop plant. 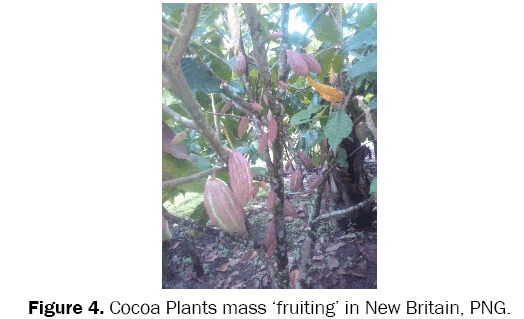 Figure 4: Cocoa Plants mass ‘fruiting’ in New Britain, PNG. Figure 5: Cocoa Production Rejuvenation in PNG. When we visit the farms in Sarawak last year we show this fermented fertiliser improves growth of plants when applied as foliar spray and soil drench. It also improves their efficacy in up-taking nutrients so naturally, growth is enhanced. With the use of these microorganisms, the micro and macro nutrients spray or drench to feed the plants become more presented and easily absorbable by the plants. This is a consequence of the increased efficiency of nutrients. Lactobacillus is also found to be beneficial to us. For example lactobacillus overwhelms dangerous bacteria in food and water that animals consume, enhances their gut microbiota so that line of defence is working more effectively. On the farm, lactobacillus acts as the soil probiotic making it a perfect medium for organic farming. It populates in the soil and staves out pathogens. The effect of lactobacillus as an inoculant has proven effective in our field experiment. Minerals are only found in the soil and if we work hard at aiding the processes of rejuvenate the soil we can grow crops that are full of minerals we need for our body. In countries like China, the government is taking steps to address shot-comings in protecting the environment and looking at solutions to remediate the agriculture lands. Environmental depredation is a serious threat to the country economy. Toxicity in the land and the twin effect of systemic long term irreversible damages means only aggravating river run-offs and decreasing arable land that can impair the entire ecology. The current reform initiatives to modernise China agriculture practice only can spell more opportunity to educate farmers about the ills of using harmful chemical. In a recent policy document, China will also develop more proficient farmers, and increase investments in technology in this sector. Green and sustainable progress is also highlighted in the document. Its (Agriculture) essential role in food security, agriculture development is now see as a vital and high-impact source of poverty reduction. It is also seen as a source of environmental problems and a contributor to global warming, water scarcity and pollution, and land degradation. At the same time its potential as a source of environmental service needs to be defined, monitored, and evaluated. Many of the issues facing the sector transcend national boundaries.